We have now 25% off all clothing until 30th november, by simply entering 25off at checkout.. Dont miss out, items being added every hour. Order and register a new Ducati 899 before 31st December and receive a free set of Termi exhausts worth ovr £1500. Along with the subsidised Tri Options PCP finance, there has never been a better time to get your new Ducati 899. We are pleased to be able to offer customers 25% off there total order when you shop online. This offer only lasts until 30th November 2014 as a special launch of our new online store. All you need to do is enter coupon code ’25off’ at check out to receive your 25% discount. The all new Ducati Scrambler has been launche at the 2014 Cologne Motorcycle Show. We are taking orders today to ensure you get your name at the top of a waiting list that is grwoing already. 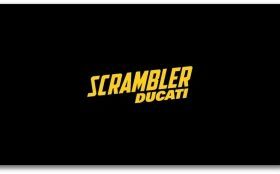 Please visit http://ducatistore.co.uk/scrambler for more infomation. A £200 refunable deposit will get your name on the list today. New Online store now launched We have now launched our brand new online store. We have the full range of Ducati Apparel online available to order with next day delivery on many items, and also the full range of accessories online. The all new 2015 gear is arriving and going online daily.